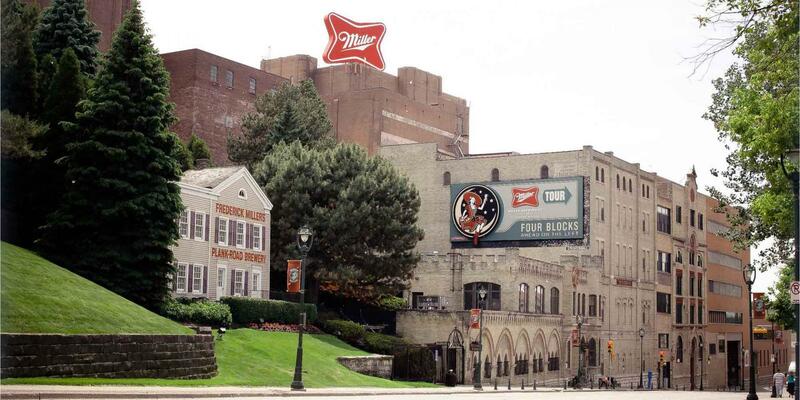 Welcome to the Miller Brewery Tour, Where It’s Always Miller Time! Here in Miller Valley we define hospitality in a whole new way. From your personal tour guide to the ghost of Frederick Miller, you will experience over 160 years of brewing history with a modern-day twist. International visitors and local guests alike experience something new with every tour. Commemorative photos, gift shop keepsakes and an unforgettable exploration of the Milwaukee Brewery awaits you! More importantly, you will end every tour with our famous hospitality and what everyone is waiting for – ice cold beer! Relax and enjoy your brews in our Visitor Center, Bavarian-style Miller Inn or outdoor Beer Garden (seasonally) with friends and family at this historic Milwaukee landmark. We hope to see you for your Miller Time soon! MillerCoors reminds you that with Great Beer comes Great Responsibility. Plan ahead for a designated driver, or use 1-800-TAXICAB whenever you need a ride. Thank you for planning ahead and getting home safely! Our products may only be consumed by adults 21 and older. Please remember to bring your love for beer and a valid picture ID. The Miller Brewery Tour is a Certified Travel Green Wisconsin Destination. Wisconsin Department of Tourism's green initiatives.